‘Classic.’ The Times on Curfew, which was FORMERLY CALLED CRYBBE in the UK. Be there with the band. Feel the fear. 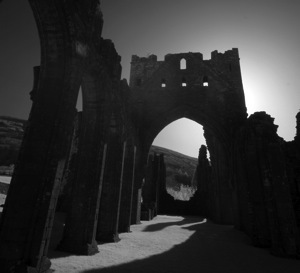 This is John Mason’s classic infrared picture of Llantony Priory, the model for the Abbey in December. Also the cover of the latest and best paperback edition, from Corvus.